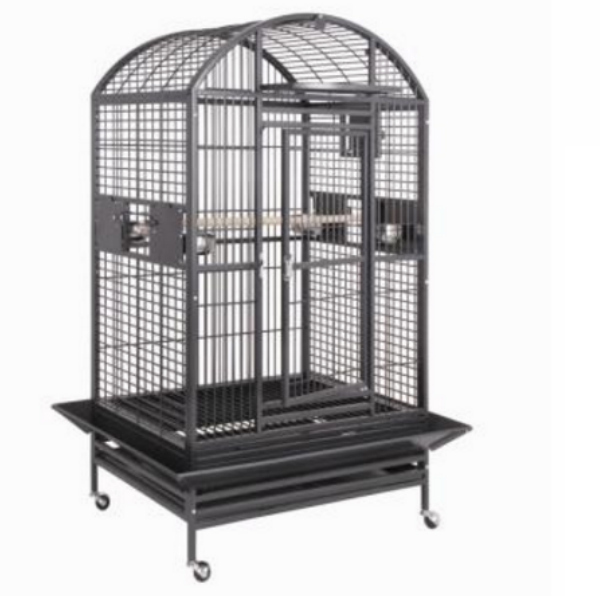 First, please understand the bird doesn't know the difference in the tops parrot cages. 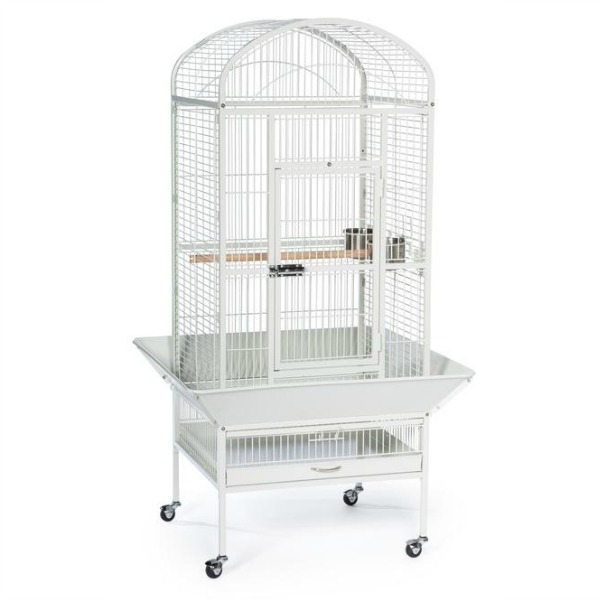 Birds like to be up high and will go to the top of the cage regardless. 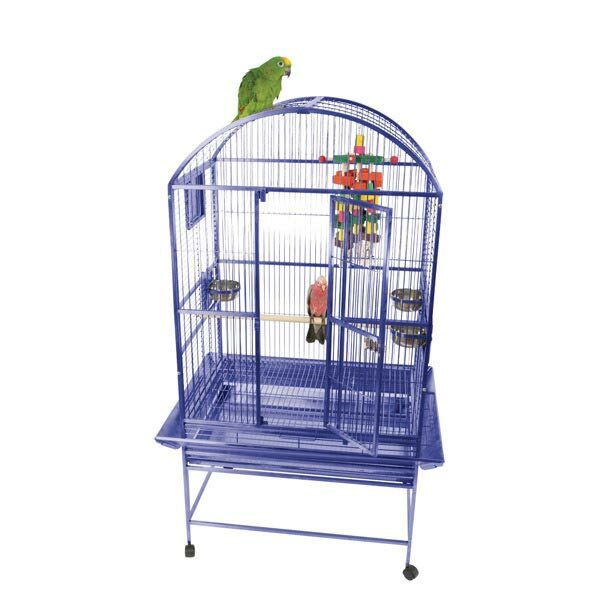 Playtops are really more of a convenience for you than the bird. 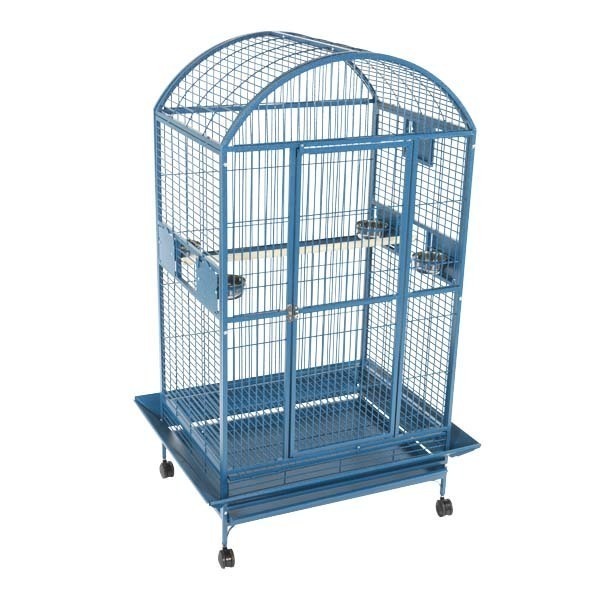 A playtop parrot cage will have at the very least a perch and food dishes on the top of the cage, some offer toys hooks. 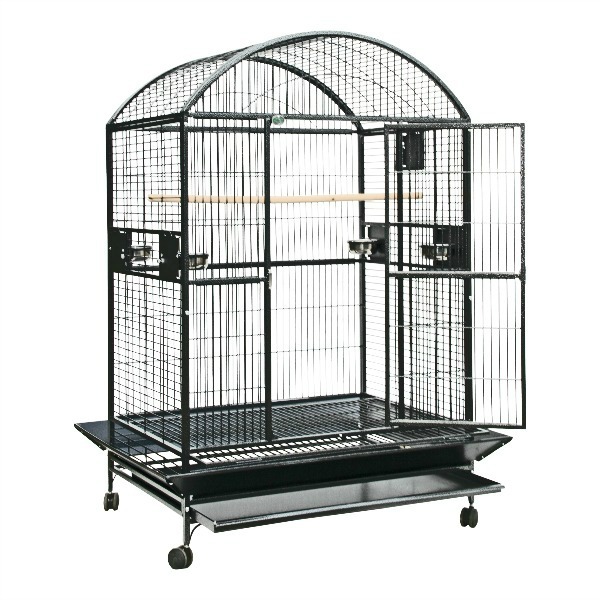 It will also have a tray under the play area, which would be the roof of the cage. 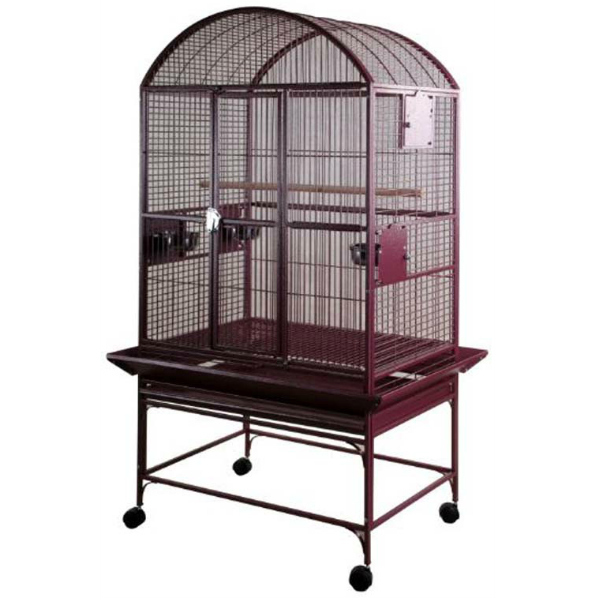 Lined with newspaper, the top of the cage will remain clean as well as the interior. 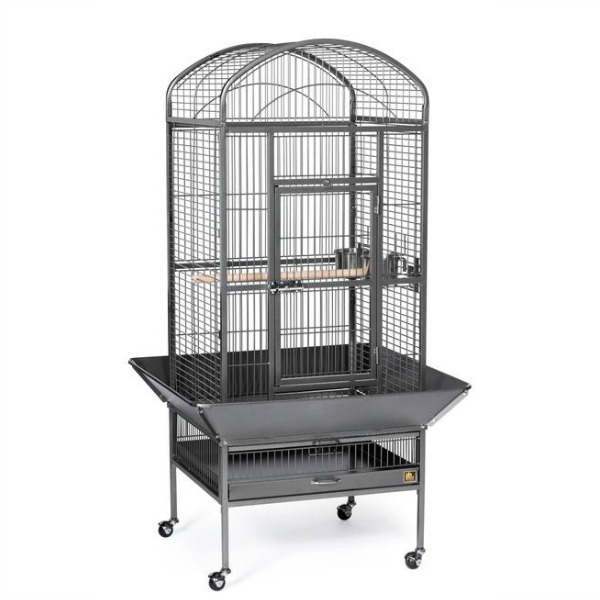 The tray will restrict light coming through the top of the cage so many parrot owners will choose to remove the top refuse tray and deal with the poop on the roof bars but allow the bird to enjoy natural (or artificial) light. 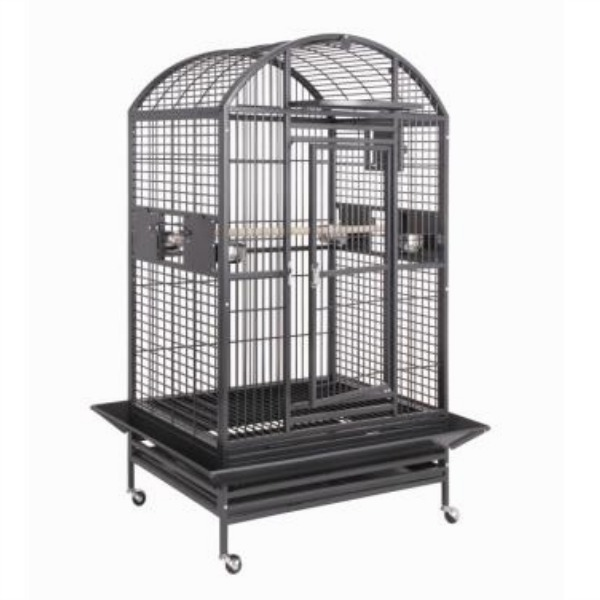 If a bird takes up residence on the top of a dome top cage, you'll be cleaning additional poop on the top of the cage. 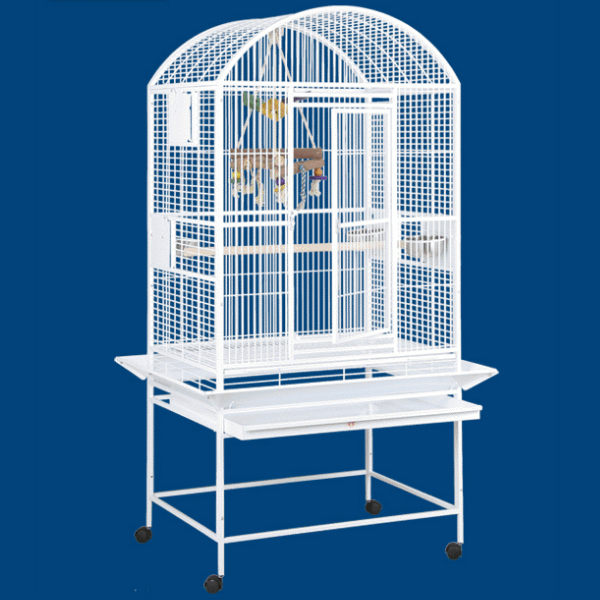 With a bird spending time on top of a dome top whether it be a large parrot cage or a small one, you risk "birdie boredom." 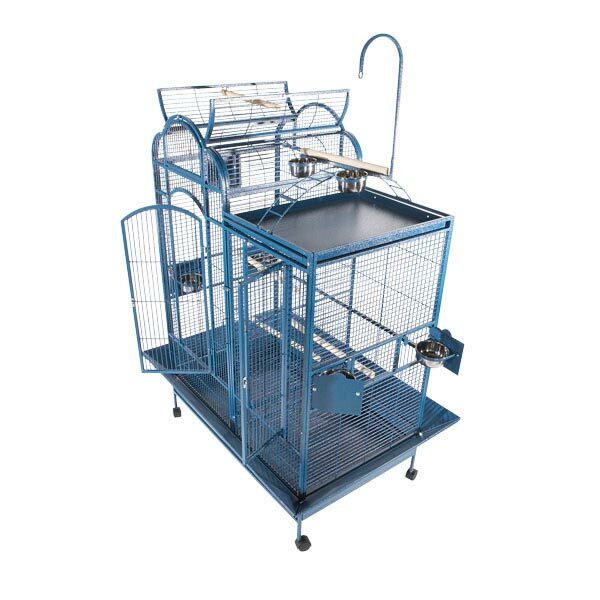 With play top cages, the bird not only has a comfortable perch for their feet but food dishes help with activities such as dunking their favorite foods in the water dishes. 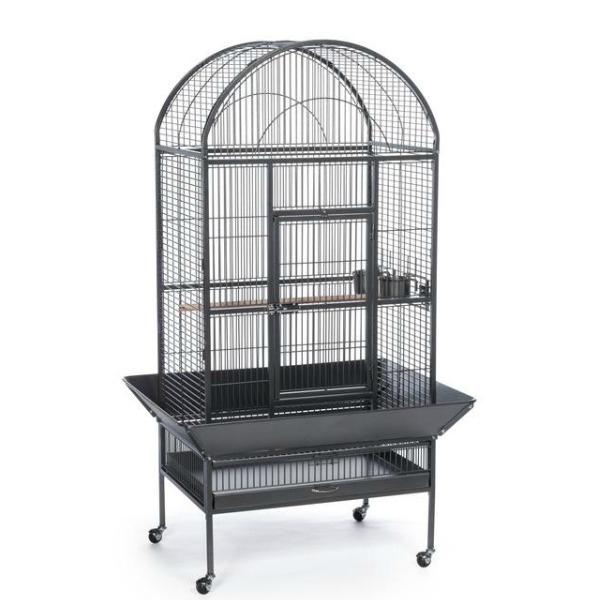 The tray (or roof area) below can also hold foot toys such as whiffle balls that they can throw on the floor for you to retrieve providing great entertainment for your bird. Speaking of headroom, and here's where things get a little murky, due to today's advanced manufacturing techniques, many dome top parrot cages open at the top and may have a drop down landing door in front. 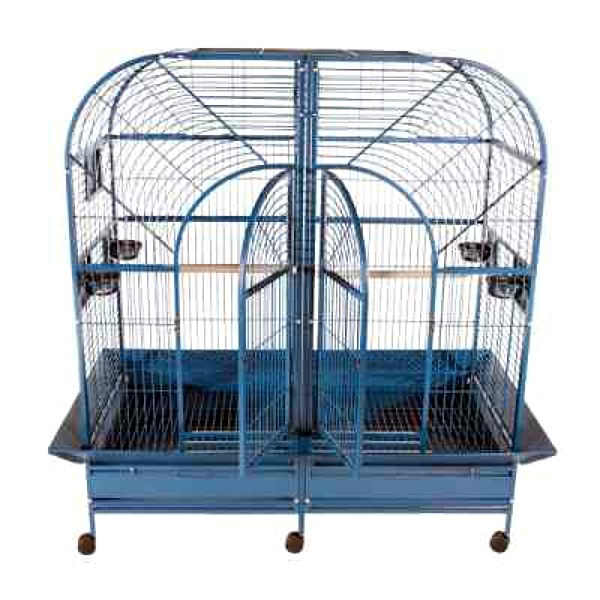 Place an appropriate perch between the two open doors up to and you have a playtop as well. Hanging bird toys from a top opening door is the downside to this arrangement. 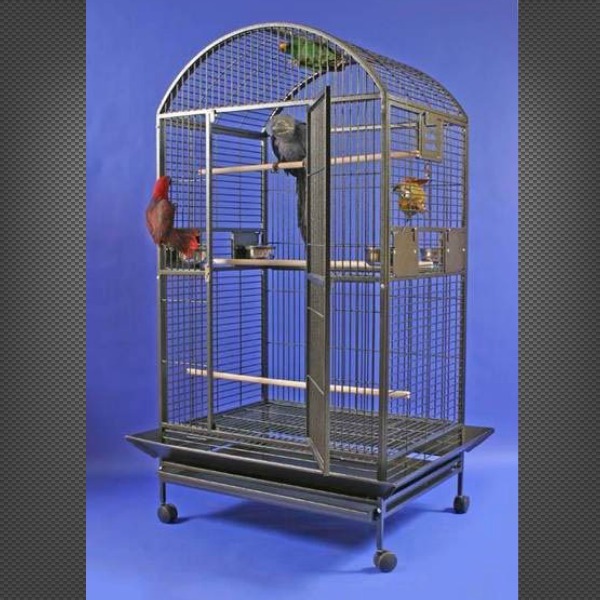 It can be done but may prove to be impractical with certain bird toys or accessories. 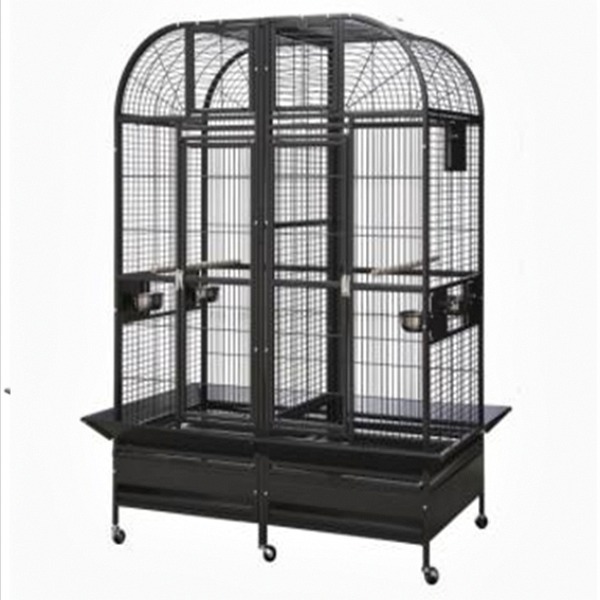 In conclusion, the choice between Play Top Cages and Dome Top Cages is a matter of aesthetics and practicality.